PCYC party-goers had the chance to dig out the fancy attire and enjoy some great laughs and libations, good food and ton of fun on the Lighthouse Ship Restaurant at Le Phare Bleu Marina. Like, we’re talking SERIOUS fun!!!! Well, we had a bit of a “bumpy” start to our match races today, but after that the races were smooth sailing and tons of fun. Big congrats to winners “Team Sail Caribbean” (1st) and “Team Staudt” (2nd). Also, a big thanks to everyone who came out to race and watch, and special thanks to Chris Long of RUSH Chocolate Trading Ltd. who provided the two Rush 10 catamarans, Chris’ crew who were keeping the teams organized out on the boats all day, and Le Phare Bleu Marina for providing both the race barge and shuttle services. Many thanks also to Palm Tree Marine for providing the fast and efficient boat that the Judges zipped around in all day. Match racing with the PCYC…what a RUSH!! The PCYC met up at Taffy’s Bar & Restaurant in Woburn for another fun and relaxing evening. Taffy’s is always a great spot for a ‘lime’ and – on Fridays – for dining on some of the best English Style Fish & Chips on the island! The PCYC elected its new board for the 2014 season at its Annual General Meeting on Monday, November 11, 2013. Officers elected were: John Whitsett – Commodore; Dave Royce – Vice Commodore; Tommy Royce – Treasurer; and Daniela Froehlich – Secretary. John, Dave and Tommy were re-elected into the positions they held last year, and Daniela replaces Jeanie Parr who held the position of Secretary last year, and prior to that successfully governed the Club as Commodore since inception. The PCYC also wishes to welcome Debbie Jardine and Rick Feld who were elected onto the PCYC Advisory Committee. Despite somewhat inclement weather, we had much to be thankful for yesterday. We enjoyed a delicious turkey dinner and a glass (or two!) of champagne in the company of good friends. And we were especially thankful for the hospitality of members, Rick & Karen Feld, who hosted this event at their lovely Villa Beachcliff in Lance aux Epines. We had a nice relaxing day on Hog Island yesterday and the weather was perfect for Beach Volleyball, the newest addition to our events roster. With our unique style of beach volleyball – with the net half in and half out of the water – players were guaranteed to get a little wet! We played a bit of volleyball…had a bit of food and drink…did lots of LIMING!! Thanks to those who came out to enjoy the day with us. This month our Members-Only After-Work Lime was held on “Friday the 13th” at Cloud 9 Bar & Grill. It was nice to see some new faces around the table, and with icy cold beers (including Banks from Barbados), chilled white wine, tasty burgers & wraps, great service, and a nice ambience, it was another fun evening. Thanks to everyone who attended our Hobie Cat Match Races held at Le Phare Bleu Marina on September 8. It was great to see lots of new faces at this event, and with first-timers, seasoned pros, singles, doubles, ladies, men and youths, we had a real range of racers out there on the course on Sunday. We had more entrants than fit on the race board – A NEW RECORD OF 32 ENTRIES!! We ran out of beer (twice! ), every last piece of pizza was eaten, and a great time was had by all. Congratulations to race winners Kenzo Szyjan (1st) and Mike Bingley (2nd), both of whom have taken home winner certificates at previous match races. 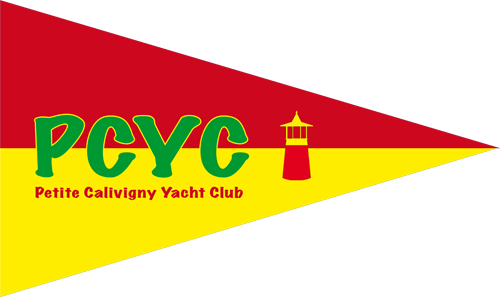 The PCYC would also like to thank Le Phare Bleu Marina for providing the venue, and all the racers and spectators who came out for another great day of racing. The PCYC’s first “Members Only After-Work Lime” was held at The University Club in Lance Aux Epines, which was a great place for members to mix and mingle while watching the sun go down. A fab time was had by all! We had another great day of racing on July 14th! Now the proud owner of the Hobie cat formerly owned by the late Mott Green, one of the original founders of the Grenada Chocolate Company, the PCYC named this race the “Mott Memorial Hobie Cat Challenge” to both honor Mott’s memory, and because this was the first time using this newly purchased Hobie cat in our match racing series. We had a record 20 race entries, which included many solo racers (both youth and adult), some mixed doubles and, for the very first time, a ladies doubles team! The day delivered a bounty of great things from weather and racing conditions to food, fun and frivolity. The PCYC would like to congratulate the race winners: 1st place – Mike Bingley, 2nd place – Dave Royce, and 3rd place – Richard Szyjan. Our Father’s Day BBQ at Glover Island was great fun and a big success with 7 boats rafted up and over 40 guests. Mother Nature gave us a beautiful sunny day, the water was warm and inviting, and Jane and her cooking crew get special thanks for putting together a fantastic meal. Click here to check out the event photos. 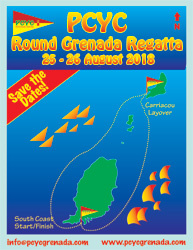 A beautiful day and gorgeous beach setting ensured that a great time was had by all when the PCYC went “on tour” along Grenada’s beautiful Grand Anse Beach. Even Mother Nature couldn’t dampen the racing spirit at our Hobie Cat Match Races held on January 20th; when unseasonably light winds caused overly calm race conditions, we simply rescheduled the day’s activities and the competition was successfully completed the following weekend. Despite the weather, the PCYC was delighted to see a lot of new faces at the event, both racers and spectators, and were even more pleased with the record number of race participants. Winning places went to Robbie Yearwood (1st), Dieter Burkhalter (2nd), and Jeffrey Rose (3rd). The PCYC would like to thank Le Phare Bleu Marina for providing the venue, the Tamarind Cottages for supplying additional Hobie cats on both race days, and all the racers and spectators who came out for both days of racing.